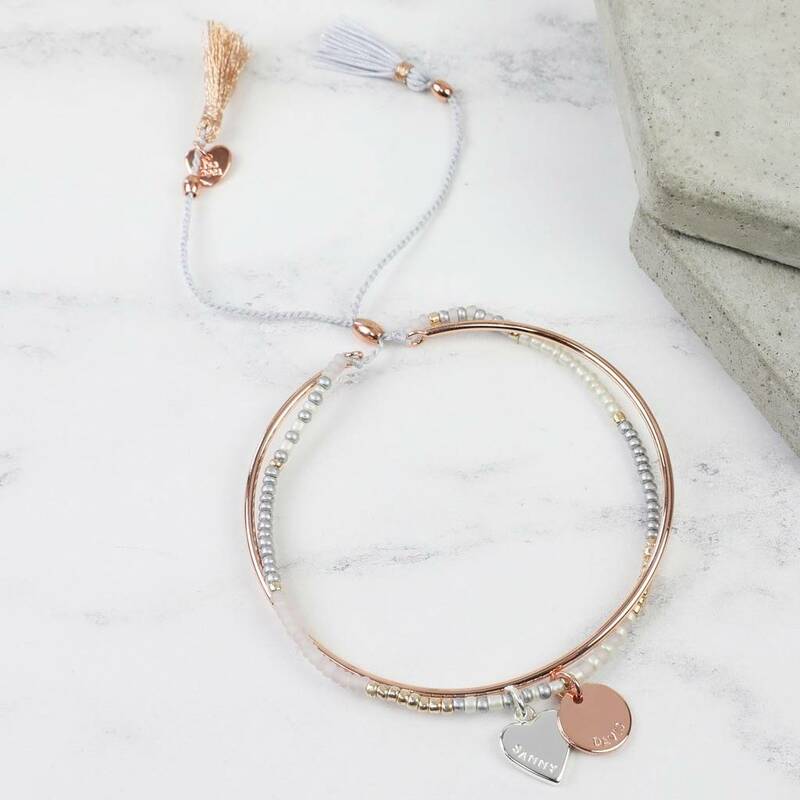 A beautiful personalised bracelet and bangle combo, from the Lisa Angel Delicate Jewellery Collection. 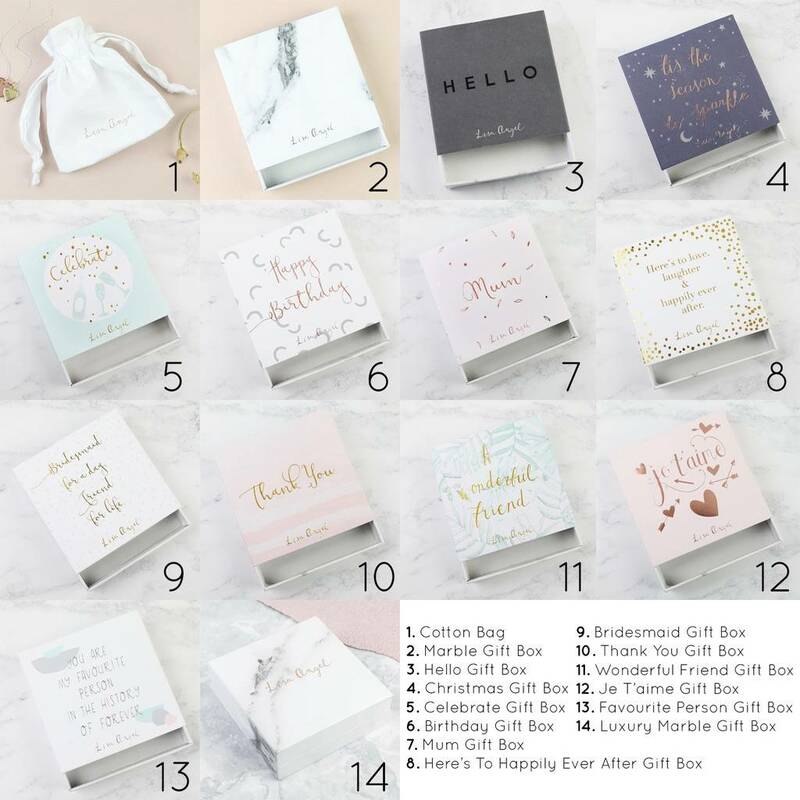 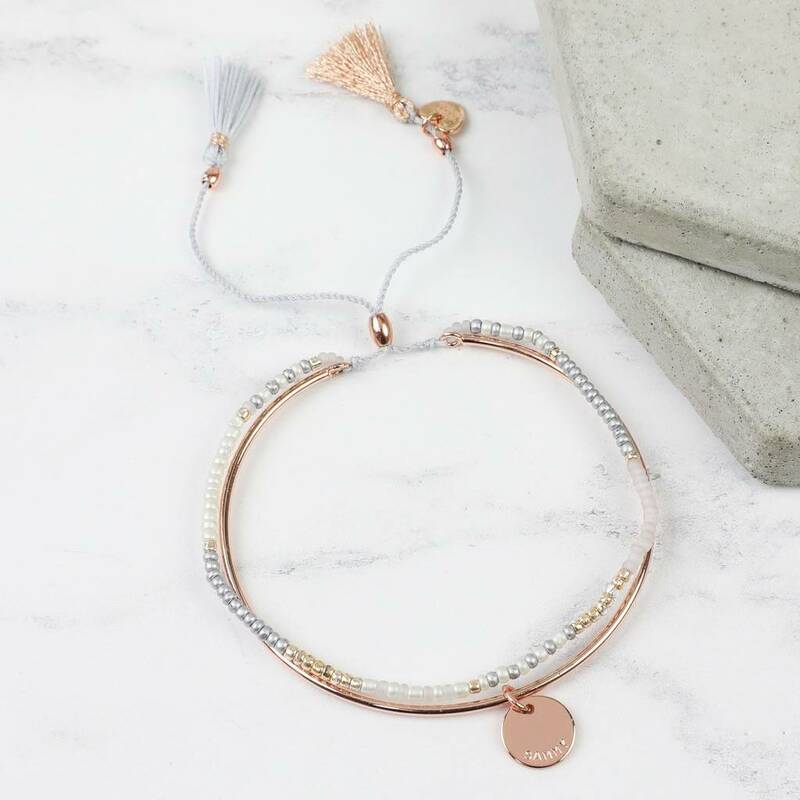 A unique personalised bracelet and bangle piece to add to your jewellery collection. 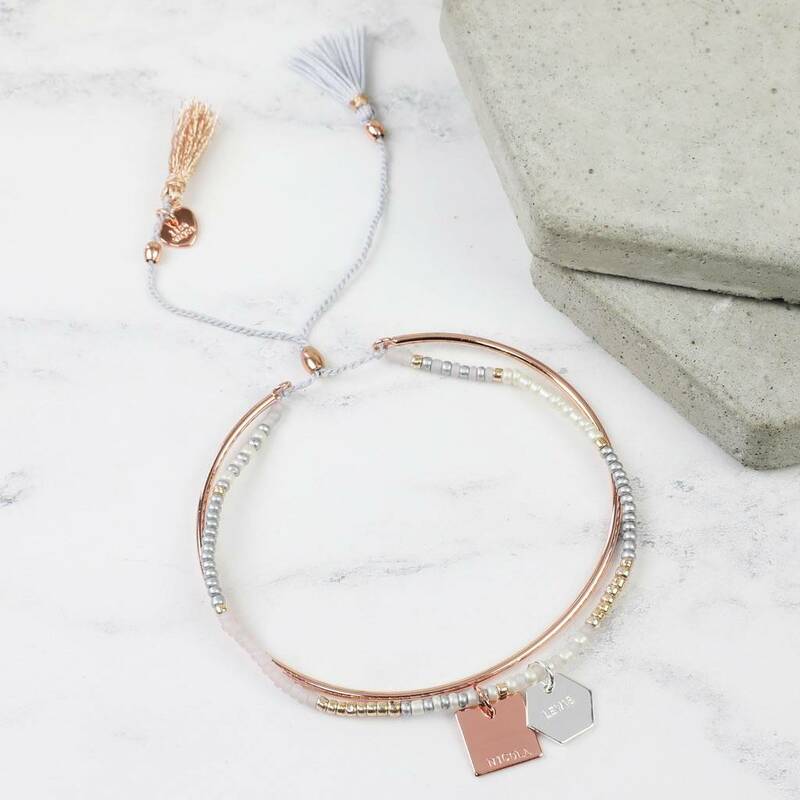 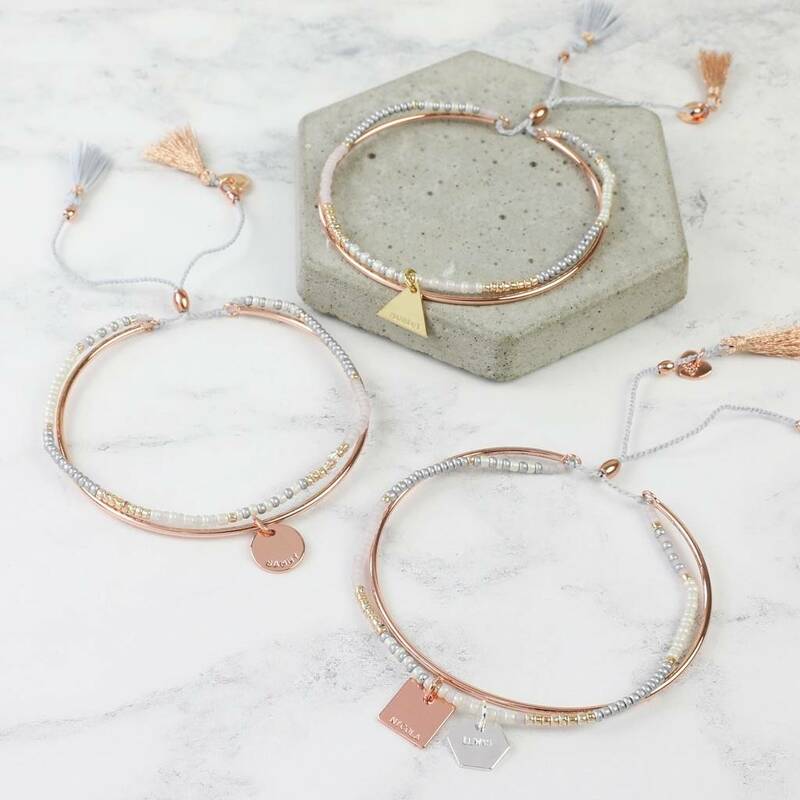 Featuring a simple 18ct rose gold plated slim bangle linked to a cord bracelet threaded with tiny matching glass crystals. 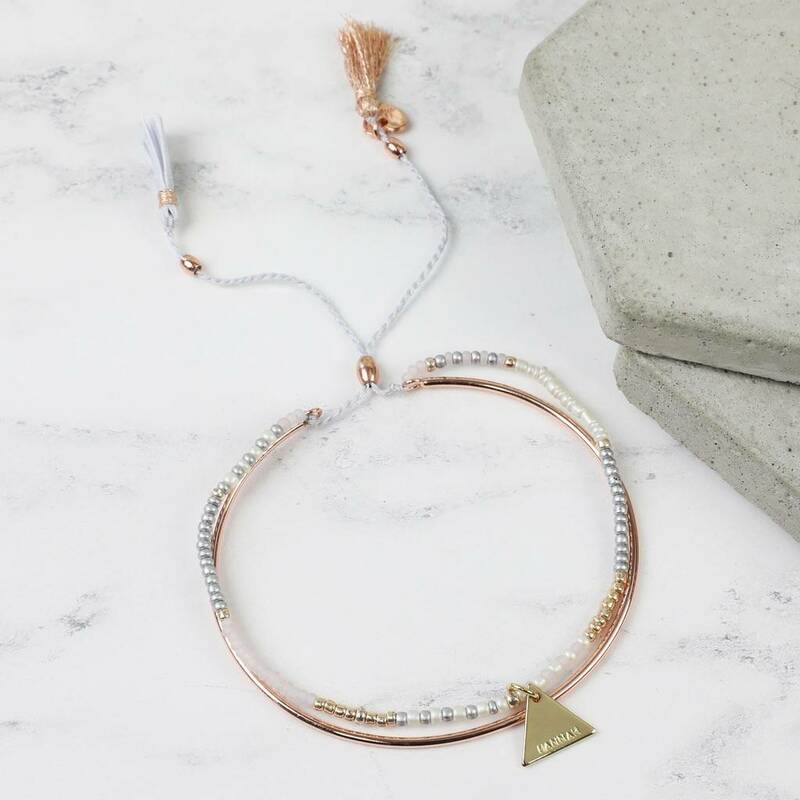 Featuring a tassel cord pull tie to adjust the size.